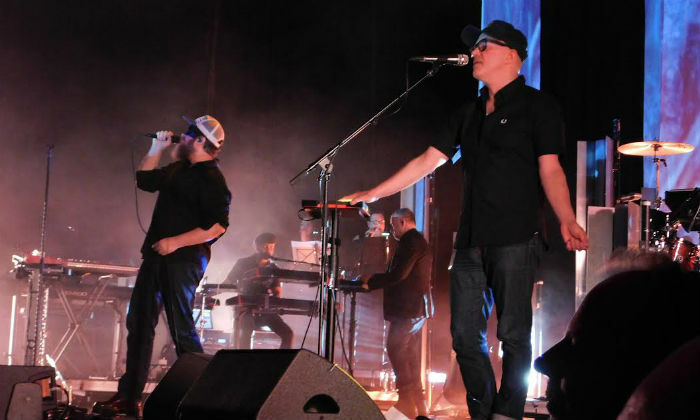 With a fourth solo album having just dropped and his 50th birthday celebrations behind him, John Grant kicked off the UK leg of his latest tour in style at The Brighton Dome. John arrived at The Prince Regent's former stable block from Iceland buoyed by the positive reception to his latest creation and the excited anticipation of the sell-out crowd. He and his band (including a very special percussionist!) were clearly very happy to be back in Brighton at the start of their tour, a decision John explained as "good routing". 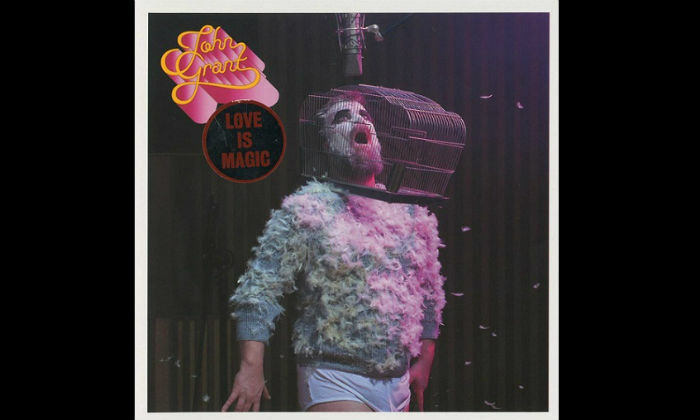 Grant's latest album 'Love Is Magic' took centre stage for much of the night with eight out the ten tracks from the album being showcased throughout the nineteen track set. After walking on-stage to enthusiastic applause, JG started the evening with theatrical aplomb as he set about 'Tempest'. His vocals were immediately captivating and the reproduction of the electro-infused soundtrack was astonishingly good. The slower balladic notes gave way to his latest album's title track as the more upbeat, almost pop tones and sing-a-long chorus of 'Love Is Magic' kicked in. The third of John's songs was a very early set highlight. 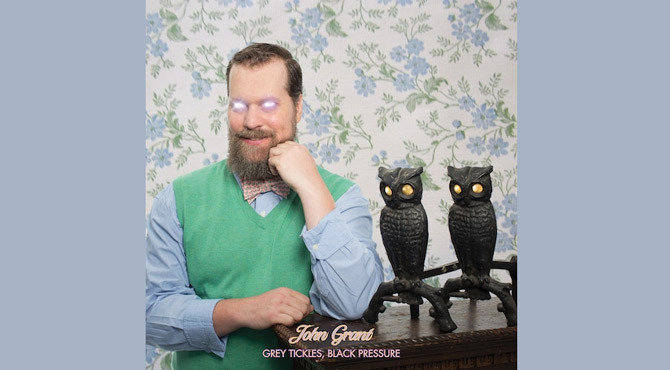 His previous album's masterpiece 'Grey Tickles, Black Pressure' saw John sat at the keys and in fine voice as he set about delivering a brilliant rendition of the track. Hearing the song performed live gave it even more gravitas and listening to him sing 'and I'm supposed to believe that there's some guy who'll take the pain away, there are children who have cancer, so all bets are off, I can't compete with that' was devastatingly effective. Grant then lightened the mood with tales of riding 130mph coasters in the heat of Ohio before breaking into the ever more threatening musings of 'Global Warming'. Three more tracks from 'Love Is Magic'; 'Smug C**t' (mugs available to buy at the merch stand), a very lively 'Preppy Boy' and a polarized, almost schizophrenic run-through befitting of album opener 'Metamorphosis'; showcased the quality in JG's newest material. 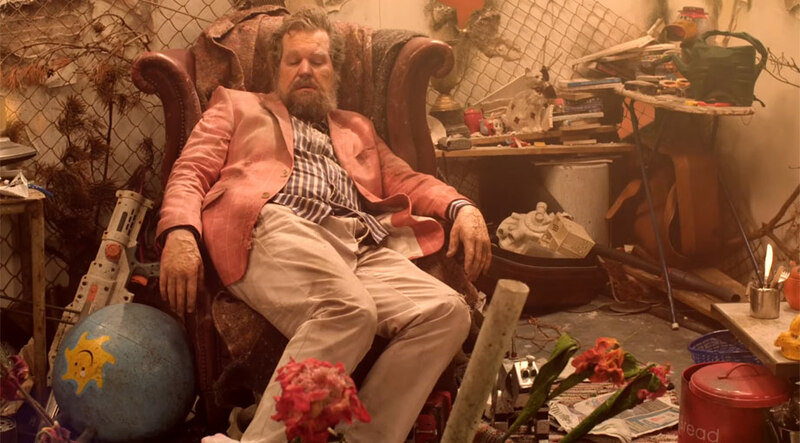 All of his latest work slotted into the set seamlessly and complemented a back catalogue of songs that have such a broad depth of range and imagination that you can't help but be astounded by the creativity alone. Mid-set John treated us to a pumped up take on 'Pale Green Ghosts' fuelled by electronic wizardry and backed by some symbiotic lighting before he set about another stand-out performance. The epic 'Glacier' once again gave cause to enjoy Grant's vocal in all its glory. His delivery was mesmerising as he stood under a single spotlight and sang faultlessly to the piano score before a cacophonous crescendo brought the track to a close (ah, and what of that 'special' percussionist? Well, helping to raise the roof here, and throughout, was the lauded, some would say quite legendary, drummer Budgie!). 'Queen Of Denmark' was equally impressive and gave rise to the biggest crowd participation of the evening as everyone joined in to sing out the final lines. Grant returned to his new album to close out the main set. Latest single 'He's Got His Mother's Hips' reminded us of John's ability to communicate wry, comic observations before 'Is He Strange?' brought to the fore his penchant for magnificent melancholy. He and his band took a brief break before returning, without even fixing his make-up, for a five set encore that included crowd favourites 'GMF', a brilliant 'Black Belt', 'Marz' and finally a dueted alternating keyboard performance of the tender 'Caramel'. "Goodnight, we love you all", said Grant as the crowd reciprocated their love with lavish applause. John and his band took a bow with he and Budgie having the broadest of smiles; clearly they, like the packed crowd before them, had very much enjoyed their first UK gig of the tour.